Saab's owner, Swedish Automobile, said on Monday it is in discussions with a Chinese bank and Chinese automaker Zhejiang Youngman Lotus Automobile over a rescue deal for Saab. Media reports had said on Sunday that the Bank of China, the country's fourth-largest bank by market value, would replace China's Pang Da as an investor in Saab, which is under bankruptcy protection. Swedish Automobile confirmed Monday that it is talking with Youngman and a Chinese bank about an equity interest, but did not name the bank. It declined to say whether Pang Da was still involved in the discussions. "The discussions include a short term solution to enable Saab Automobile to pay November wages and continue reorganization. The outcome of the discussions is still uncertain," it said. A new investment deal could help pave the way for General Motors to approve a new ownership structure for Saab. GM sold the money-losing brand to Swedish Automobile, then called Spyker Cars, in 2010 and still has preferential shares in the carmaker. Youngman and Pang Da had pushed for full ownership of Saab, replacing an earlier plan by Swedish Automobile CEO Victor Muller for the Chinese companies to take a combined 53.9 percent stake in Swedish Automobile, but no stake in Saab. On Nov. 30, GM executives held talks with Saab's court-appointed administrator Guy Lofalk in Detroit, reported China Business News, a Shanghai-based daily newspaper. GM asked Pang Da and Youngman to acquire no more than 20 percent of Saab each, reported the newspaper, citing an unnamed Pang Da source. On Sunday, SaabsUnited, an enthusiasts Web site, said the Bank of China would take a 29.9 percent stake in Swedish Automobile with Youngman holding 19.9 percent and Swedish Automobile retaining the remaining 50.1 percent. The Web site said the information came from its contacts within Saab. Saab was not immediately available for comment on Monday when contacted by Automotive News Europe. Cash-strapped Saab is currently under court protection from creditors after unions representing the carmaker's employees began proceedings to put it into bankruptcy over unpaid wages. GM operates in China in a partnership with state-run automaker SAIC Motor Corp. The new plan has been handed over to GM, Reuters said. On Nov. 30, GM executives held talks with Saab representative Guy Lofalk in Detroit, reported China Business News, a Shanghai-based daily newspaper. Pang Da and Youngman originally had planned to take a joint 100 percent stake. 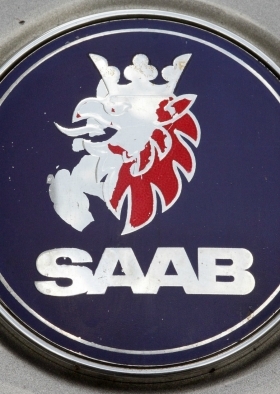 Cash-strapped Saab is currently under court protection from creditors in Sweden after unions representing the carmaker's employees began proceedings to put it into bankruptcy over unpaid wages. Pang Da operates auto dealerships in China while Youngman produces commercial vehicles, including buses and trucks, and sells cars under the Lotus brand.